This Classic Pewter Baby Cup is beautiful, useful and easy for little hands to hold. Made in Vermont. 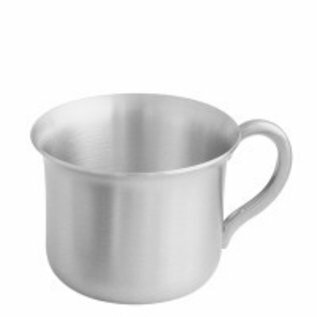 This Classic Pewter Baby Cup is beautiful, useful and easy for little hands to hold. 2 1/8" high, 3" diameter. This cup comes with easy care instructions and is giftboxed. Holds 5 ounces. 100% lead-free fine pewter, which meets or exceeds all FDA food-safety standards.